European Championships 2010: Geneva | Birmingham Hardcourt Bike Polo, UK. Rare shot of Ben not throwing a gang-sign. There were three of these badboys - one with stadium seating! We played a few sweaty throw-in games (whereby you mix up teammates randomly) with people from all over Europe. It’s always such a cool feeling to arrive at a tournament, especially one thousands of miles away from Brum, where there are literally hundreds of polo players. 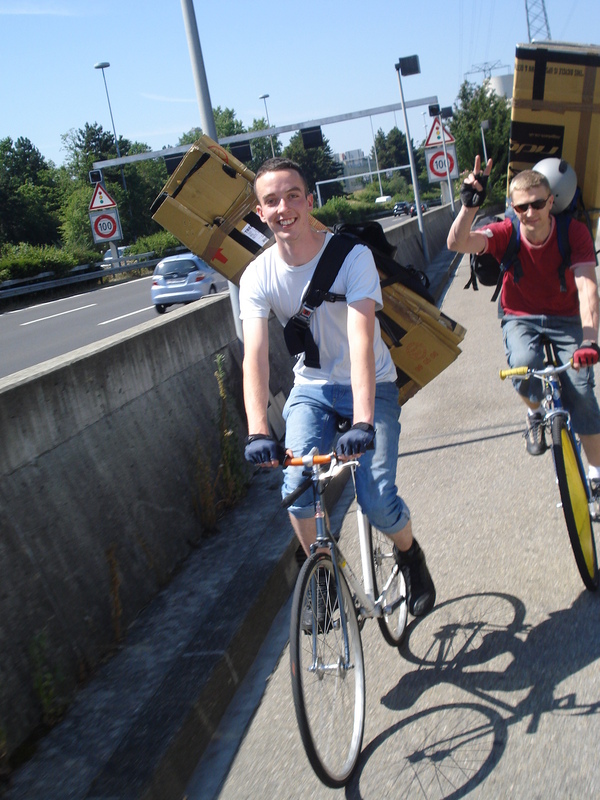 No more awkward explanations of ‘bicycle hockey/snooker/golf’ to passers-by! We met up with some of Manchester’s (2nd) team, Asbo, and decided to spend the rest of the afternoon at the lake, which was awesome and clear. Apparently, the city put up something in the region of £20,000 to put up the 150-odd players in these spotlessly clean and only slightly spooky underground buildings. At most tournaments, a massive effort is made to house players free-of-charge at fellow cyclists’/players’/sympathisers’ houses, but this was such a great result. 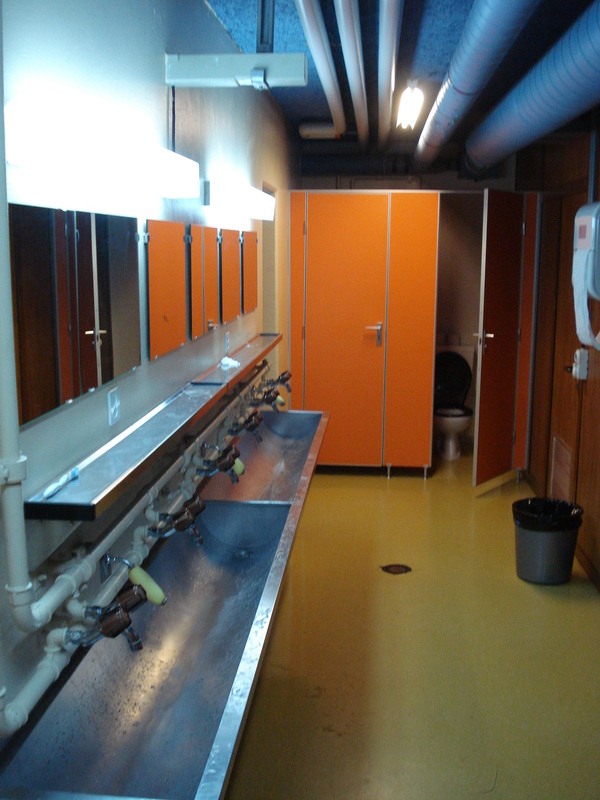 Comfortable bunks and showers too. Saturday saw the qualification games, with the aim of reducing the 48 or so teams down to a more manageable 32 for the double elimination tournament on the following day. We played 5 games in a tough group which included Toros (one of the top 3 teams in Europe, probably) and MGM (a ludicrously fast French team). We lost our first four games, which was entirely expected, although we scored in all of them except against Toros. The rest of the day passed in a drunken fug as we cheered for the other UK teams who had much harder routes to the Euros than us: Cosmic, Bad, Rotten Apples, Malice (all London teams), Fen-Boy 3 (Cambridge), Netto and Asbo (Manchester). Such is the standard of UK polo, they all made it through to the following day, with the exception of Asbo. And us, of course. 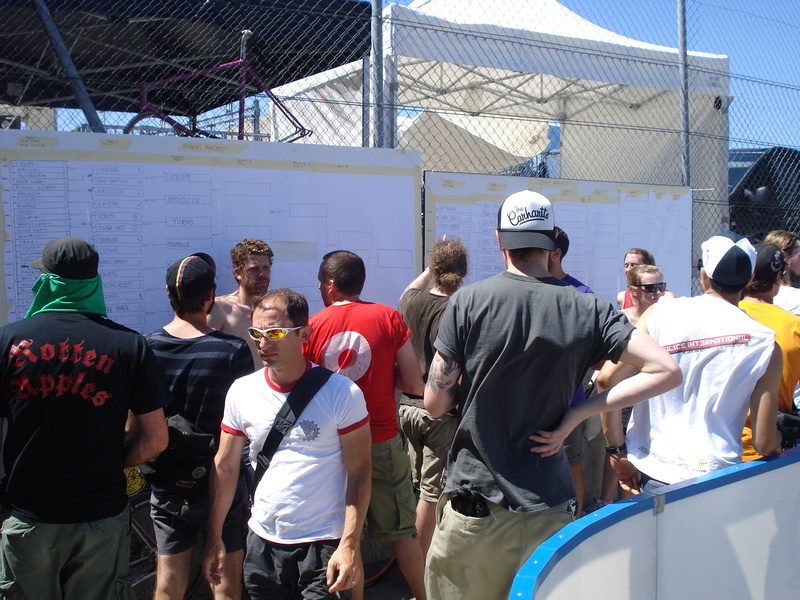 The Sunday was a double-elimination tournament, in which you have to lose twice to be knocked out. The games get more serious and often more entertaining at this point, as everything is at stake. One-by-one the UK teams fell, although it was clear that UK Champs Cosmic were going to go far. Apples too were performing well. It was an intense (and untimed) game, which finished 5-4 to the Swiss if I recall correctly. Le Equipe have dominated European polo for a few years now, although everyone else is catching up. Celebratory drinks were drunk, goodbyes were said, and we retired for our last subterranean sleep. 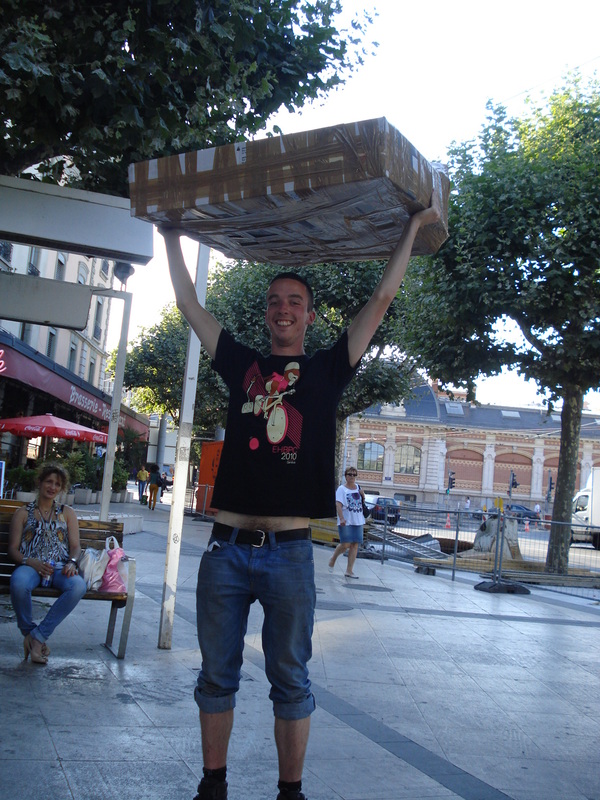 …and lugged them to the airport, tired and fed up with Laughing Cow baguettes. At least they let him drink it while his bag was searched. Who will host in 2011? 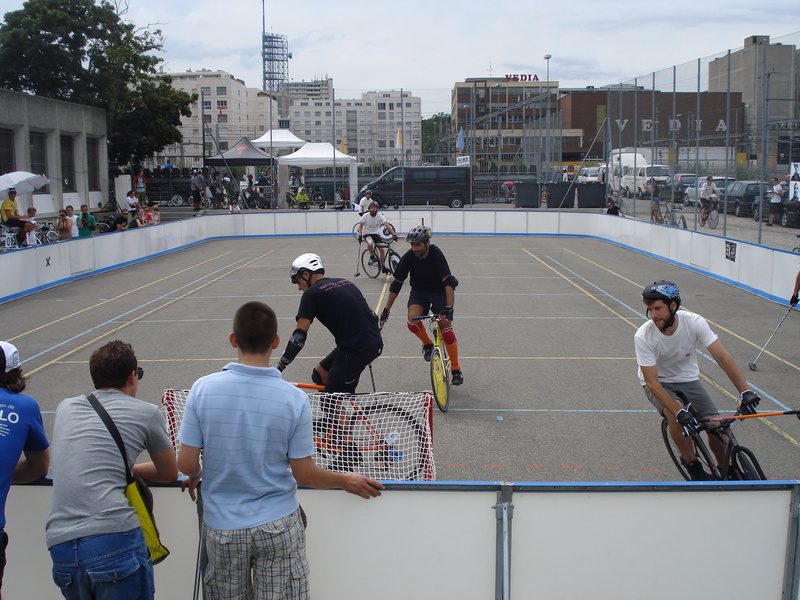 This entry was posted in Birmingham Bike Polo and tagged bicycle polo, bike polo, birmingham bike polo, birmingham bike polo team, european bike polo championships. Bookmark the permalink.